On Oscar Night, millions of people around the world tune in for the finale of the year’s awards season. Whether or not our favourites are nominated, or win, the truth is that many of us will stay glued to the television screen starting from the red carpet cover and ending close to midnight; and the next day, we’ll be online reading about the morning-after fashion analysis. So why exactly are we so drawn to the Oscars? 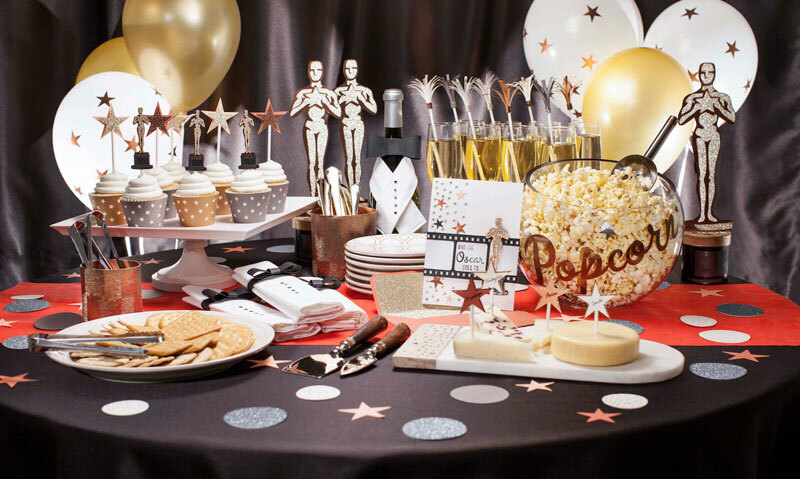 Even those who aren’t really movie buffs find themselves pulled into the show year after year, talking about it with their friends and colleagues at work, even attending local “Oscar” parties and participating in Oscar contests to guess the winners. But there is more to it as well. Movies draw us into a world of story and imagination, which as human beings, we’ve loved since childhood. When you read a book to a small child they usually ask, “again, read it again.” In the same way, we go to the movie theatre to watch stories about love, war, space travel, competition, politics, and never tire of what are often similar plots and characters. Movies also help us escape. We get so wrapped up in a movie, we almost forget that it’s not real. How many times have you gone to a movie with a lot on your mind, and then afterwards, realized you had forgotten about everything except what was going on via the screen? This kind of escapism is good for us. Through the magic of movies, the audience starts to believe the actors are the same as the roles they play, and identify with their struggles. We imagine what it must have been like to experience the success of Queen, or feel the loneliness of Don in The Green Book. By going through the same circumstances in movie time, we gain greater empathy for the fictional characters, and in doing so, gain a better understanding of each other as humans. Movies these days also reinforce our values, because the characters on screen often act like we do. Perhaps this is why we get so upset when “our” movie doesn’t win, or get nominated! Finally, win or lose, the Academy Awards is a yearly tradition that gives us a chance to connect with those around us. Through conversations, debates and shared messages, we get to participate in a large-scale communal event and connect with others while we watch, cheer, jeer and laugh.